Maybe the greatest anti-war film of them all. Angel-faced German schoolboys go looking for glory in World War I but find only suffering, death and disillusionment in the mud and guts of their rat-infested trenches. A gigantic film, this, with wonderful performances, harrowing depiction of war-life and startlingly inventive direction. At one point, the camera becomes a visual machine-gun, mowing down oncoming troops as it glides along the battle-lines. Watch and learn. Did you know? Poland banned it for being pro-German. The Nazis banned it for being anti-German. You can’t win. One of the most emotionally pulverising movies ever made. Christopher Walken won his only Oscar for it, cancer-stricken John Cazale never lived to see it and Robert De Niro calls it his most exhausting film. No kidding. 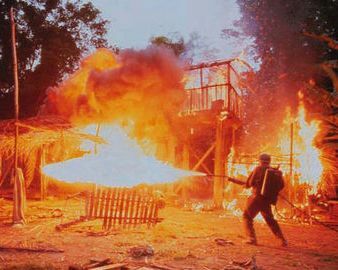 Powered by their heartbreaking performances, this metaphorical ‘Nam epic sees three blue-collar friends leave their tiny steel-mill town for Vietnam only to be physically and psychologically devastated by the war. 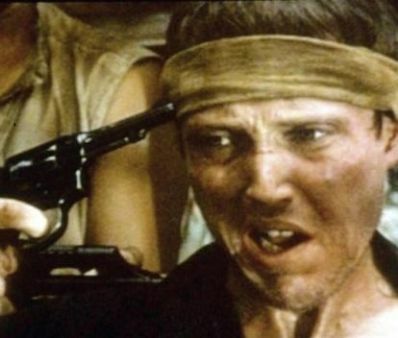 Those Russian-roulette scenes are just, well, mindblowing. Did you know? Walken ate nothing but rice and bananas to achieve his hollow-outed look. The horror, the horror. 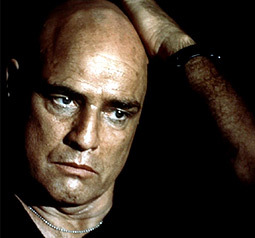 Directed over 16 catastrophic months by a suicidal, drug-blurred Francis Ford Coppola, the story of woozy army assassin Martin Sheen’s journey up river to assassinate batshit Colonel Marlon Brando (“I watched a snail crawl along the edge of a straight razor…”) warps into a nightmare odyssey of the human soul. It’s the madness of war, straight up: a thunderous, insane bender of sulphur, surf and slaughter. Did you know? Martin Sheen’s character name combines the names of co-star Harrison Ford’s two eldest sons: Benjamin and Willard. So good that the Nazis banned it and ordered every copy burned. Luckily, they ballsed that up too. Jean Renoir’s barbed POW saga about a German commandant (Eric von Stroheim) and three French prisoners determined to escape is wonderfully, wonderfully humane – it’s camaraderie not combat that unmasks the futility of war. 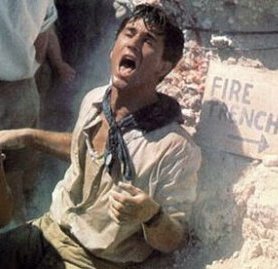 Although you’ll forgive our lack of surprise that the greatest French war film doesn’t actually have any fighting in it. Did you know? First foreign-language film to be Oscar-nominated for Best Picture. Don’t blink, don’t even try. Shot through the horror-wide eyes of a 12-year-old boy – his petrified face ages visibly as the film unfolds – director Elemi Klimov’s unforgettable epic paints the invasion of Belarus (where Nazis burned more than 600 villages and massacred their inhabitants) as a brain-searing Expressionist nightmare. Glimpses of death-camp footage are the least horrifying thing in a movie that attacks like a hypnotic fusion of Schindler’s List, Saving Private Ryan and Apocalypse Now. Did you know? The film’s original title, Kill Hitler, was considered inappropriate for some reason. One of those rare movies that’s more than a movie. Terrorist textbook and revolutionary battle-cry, its depiction of Algeria’s street-combat struggle for independence from the French has inspired everyone from The Black Panthers to The Pentagon. 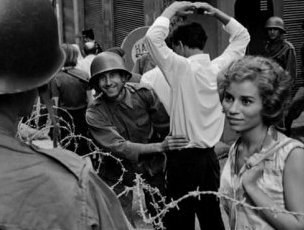 Four decades on, this engrossing neo-realist docu-drama is still scarily relevant. Like father, like son. Following his dad Martin into the heart of darkness, Charlie Sheen is the teenage college dropout who comes of age in the horrors of war. 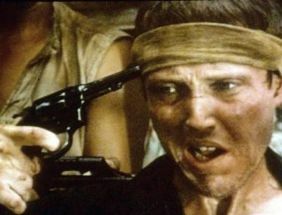 Cathartically hurling his own ‘Nam experiences on screen, the first and best of Oliver Stone’s Vietnam trilogy (Born On The Fourth Of July, Heaven And Earth) becomes a mythic battle between Tom Berenger’s scarfaced psycho and Willem Dafoe’s biblical martyr. Did you know? Kyle MacLachlan, Keanu Reeves and Emilio Estevez were offered the lead role. Trembling hands open a canteen… Young men pray and vomit… Bullets suddenly whip into skulls… Blood sprays… A soldier picks up his own severed arm… Another holds in his guts… Wait. This is the guy who directed ET? Opening with the most visceral combat scene ever filmed, Steven Spielberg’s shocker remains the first movie to make a generation too young for war feel grateful it was them and not us. Did you know? Matt Damon was the only actor not forced to undergo gruelling boot-camp training. Spielberg wanted the other actors to resent him. “Madness! Madness!” Well, quite. 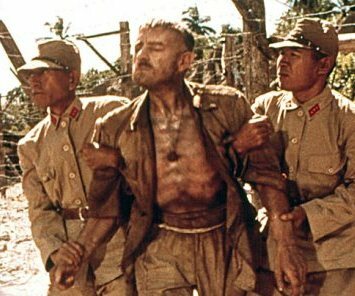 Turning a true WWII tale into a rumble-in-the-jungle of Shakepearean dimensions, director David Lean masterfully constructs unstoppable forces (heroism, honour, pride, power) and immoveable objects (Alec Guinness’ Brit POW officer, his Japanese captor, one giant train bridge) before blasting them all straight to hell. Did you know? Guinness initially turned down the part of Colonel Nicholson, saying, “I can’t imagine anyone wanting to watch a stiff-upper-lip British colonel for two and a half hours.” The role won him his only Oscar. Sensually overwhelming, massively ambitious, defiantly enigmatic and propped up by what could be the longest battle scene in cinema history. Terrence Malick’s first movie for two decades was released in the same year as Saving Private Ryan, but couldn’t be more different. 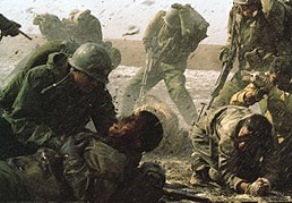 Comingling brutality and beauty for a study of men (Clooney, Penn, Travolta, Brody, Cusack and the rest) in battle that’s weirdly, powerfully fragile, it’s too much to soak up on a single viewing. Did you know? 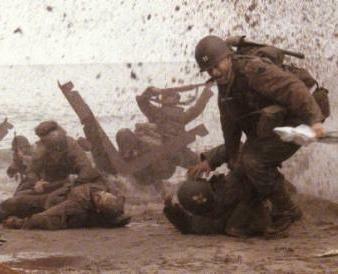 Edward Norton turned down The Thin Red Line and Saving Private Ryan. 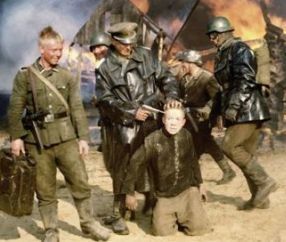 ‘Bloody’ Sam Peckinpah only made one war film – and Orson Welles declared it the finest anti-war film he’d ever seen. 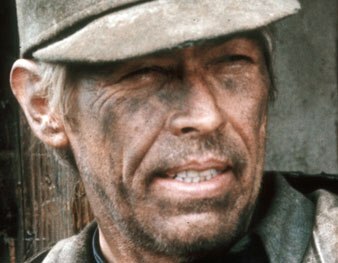 Sure enough, as James Coburn leads a German platoon of inglorious bastards on a retreat from the Russian front, it’s anything but your standard-issue WWII flick. Violent, bleak, wrong in the head. Let me see your war face: AAAAAAHH! Three decades after his bracing WWI potboiler Paths Of Glory, Stanley Kubrick’s double-barrelled ‘Nam movie watches raw recruits stomped into boot camp, losing their hearts and minds to become killing machines. Thanks to former Marine R Lee Ermey’s Gunnery Sgt Hartman, it also boasts the best swearing ever. As you’d expect of a movie with a lead character called Joker, it’s really a blood-black comedy – as cold and purposeful as a steel bayonette. Did you know? 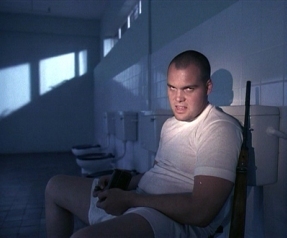 Vincent D’Onofrio gained more weight to play Private Pyle than De Niro did for Raging Bull. King Lear + Macbeth + Samurais = awesome. Seven Samurai director Akira Kurosawa arguably spent his entire career building up to this magnificent tale of an ageing 16th-century warlord who foolishly decides to split his kingdom among his three treacherous sons. Cinematography that blooms like a living painting, BIG themes played out in an even BIGGER spectacle and battle sequences that’ll burn your brain. 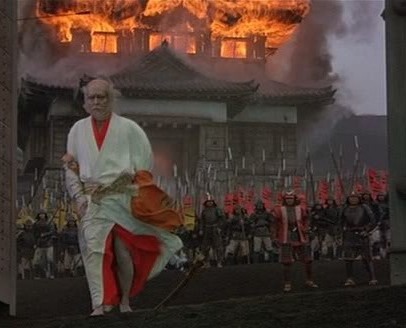 By this point, Kurosawa was so good he could practically control the weather. Did you know? Ran means “chaos” or “revolt”. 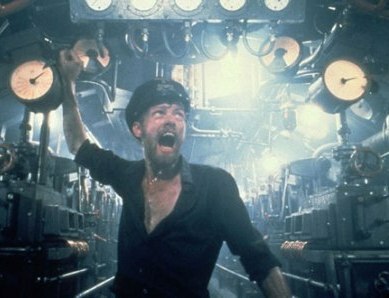 Three and a half hours in a submarine with a group of sweaty, bearded Germans. Doesn’t sound like a blast. But make no mistake, this is something seriously rare: a devastating criticism of war that’s also a thrilling actioner. Brilliantly evoking the pressure-cooker claustrophobia of deep-sea combat, Das Boot never stops thrusting forward or hammering you with skull-busting tension. 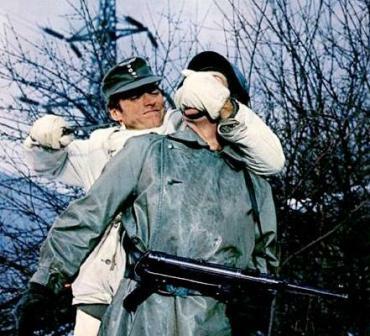 Probably still the greatest German film about World War II. Did you know? Spielberg used Das Boot’s model submarines for Raiders Of The Lost Ark. 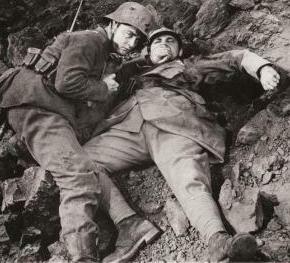 Steven Spielberg’s favourite war movie. Not hard to see why: double-agents, double-crosses, parachute jumps, escape by motorbike, bomb-rigging, shootouts, stealth kills, a fight on the roof of a mountain cable-car… Scripted by Alastair MacLean, this absolutely rollicking men-on-a-mission movie never stops twisting and turning. British agent Richard Burton and US assassin Clint Eastwood lead a crack unit (including spy hottie Ingrid Pitt) on a mission to infiltrate an infamous German stronghold. Did you know? Eastwood kills more people here than he does in any other movie. 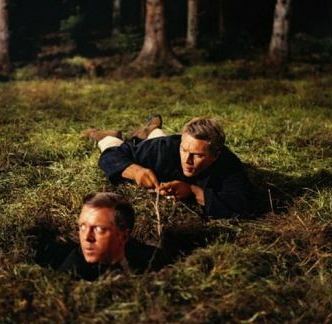 Oh yes: Steve McQueen, James Garner, James Coburn, Donald Pleasence and Charles Bronson versus The Nazis. Easy to forget that this fresh, funny wartime romper – about an audacious breakout by Allied officers in an elite German POW camp – is based on a tale of true-life heroism. Easy, too, to forget the poignant finale. But McQueen’s motorbike leaping two barbed-wire fences on a doomed escape to victory is one of Hollywood’s immortal triumphant images. Did you know? 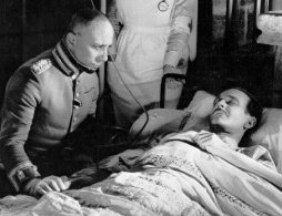 Several cast members, including Donald Pleasence, were actual POWs during World War II. Did you know? “I think this could be the Platoon for the Iraq War,” said James Cameron, of his ex-wife Kathryn Bigelow’s film. Climaxing on the greatest freeze-frame since The 400 Blows, this Oz anti-war movie salutes the courage of the patriotic young Australians who travelled halfway around the world to die pointlessly on the battlefronts of World War I. Terribly moving stuff, with Mark Lee as the naive champion sprinter who enthusiastically volunteers for adventure and Mel Gibson as the cynical drifter. Did you know? Look closely during the assaults on the Turkish trenches at Gallipoli and you’ll see many of the Australian army’s bayonets are made of rubber – they bend and wobble noticeably. Searching out the man inside the monster, Swiss actor Bruno Ganz studied recordings of Hitler’s voice to construct an incredible embodiment of the wretched, Beadle-handed Fuhrer (“He only talks about dogs and vegetarian meals”). And as the walls of Hitler’s Berlin bunker close in on him, this gripping apocalyptic account of the Reich’s last days attempts to offer catharsis for a generation of German people. And a brilliant source of YouTube parodies for everyone else. Did you know? ‘Sheffield United’s Downfall’ is still the best YouTube parody. Fact. Bullets, bayonets, flamethrowers, landmines… Nowhere to hide. Tae Guk Gi (aka Brotherhood) outgrossed Titanic in its homeland by stacking up a bodycount to blitz Saving Private Ryan’s. Nose-diving into the carnage with unique ferocity, this florid story of two brothers sucked into the Korean War is provocative, unflinching and deserving to be seen. Did you know? 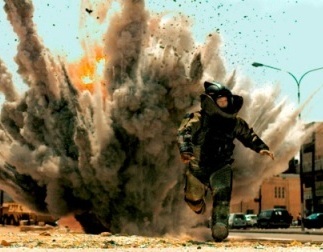 15,000 bullets, 3,000 extras and 500 stunt experts were used to recreate the savage battle at Doo-Mil-Ryung.